I most definitely want a cure for those most profoundly disabled; I want a cure for my most disabling aspects. Autism has ruined my life, like it has ruined many others: I can't lie. And no, I don't believe the self-diagnosed have any right to speak for the most profoundly disabled or really for anyone with autism. Stephanie Lynn Keil is a person with an autism disorder who speaks honestly and from a very personal, non ideological perspective. Like Jonathan Mitchell and Jake Crosby she wants to be cured of her autism. Like them she will not likely be interviewed by the New Yorker, CBC, Time, Newsweek or CNN which will likely continue to feature the views of anti autism cure proponents. Fortunately the internet provides a means for Stephanie, Jonathan and Jake to advance their positions to counter, to some extent, the dangerous positions of the anti autism cure "self" advocates over whom the mainstream media fawns unrelentingly. This has been an unusually warm November. Today the temperature is starting to drop but it is still warm for late November. With some sunshine Conor and Dad decided to go for a good hike across the bridge to downtown Fredericton and home. A great outing but near the end Conor was feeling a bit cool. We were happy to get back indoors. 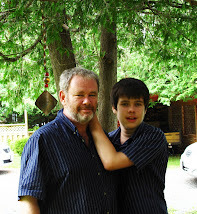 I am a parent of a 13 year old boy with Autistic Disorder. I also have a blog site on which I commented unfavorably on your response to the possibility that the IACC might recommend some vaccine autism research. I ask your response to a few questions if you have the time and are inclined to respond. One is your apparent opposition to any further research exploring possible vaccine autism connections. I am not an "anti-vaxxer". 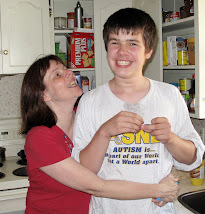 I have never attributed my son's autism to vaccines. Until recently I accepted the official view that vaccines play no role in causing autism. More recently my views have moved toward an undecided position. This change began when reading Dr. Bernadine Healy's observations about the limitations of the epidemiological studies which are usually used to allegedly "debunk" any vaccine autism connection. In her comments she indicated that such studies are not specific enough to address the possible impact of vaccines or their ingredients on potentially vulnerable population subsets.To this layperson Dr. Healy's criticism seems reasonable as does her call, a call also made by Dr. Julie Gerberding, that an observational study comparing autism rates in existing vaccinated and non vaccinated populations could and should be done. Your opposition to further vaccine autism study does not, with respect, seem either reasonable OR science based. I ask if you could provide a clear rationale for opposing a study which has been called for by two prominent health authorities and which might provide useful information to what is a heated debate on all sides. The second question I have for you concerns the increase in autism diagnoses which has really been quite startling by any measure. In my son's lifetime the figure has changed from 1 in 500 to 1 in 150 with the two recent studies indicating it might now be 1 in 91. Many authorities dispute though that the increases are real pointing to the autism definition changes in the DSM and ICD diagnostic manuals in the 1993-4 period and increased social awareness as the reasons for the increases in diagnoses. Is it your view that the increase in autism diagnoses does not reflect a real increase in autism disorders? If so what are the implications of that position for the argument that epidemiological studies have disproved any thimerosal vaccine link because autism rates increased after removal of thimerosal from MOST vaccines? Also if you have the time and inclination do you think Dr. Healy's observations that thimerosal which continued to be found in flu vaccines, some of which historically were administered to pregnant mothers, was a matter worthy of investigation given that the thimerosal crosses the placenta is a legitimate concern worthy of further investigation? This is an important matter here in Canada where the squalene adjuvant was removed from the vaccines given to pregnant women but there has been no indication that thimerosal has been removed. I would genuinely appreciate your responses to these questions which I am posting on my blog site. If you do me the courtesy of an informed reply I would be happy to post that reply as well. Thanks for your thoughtful e-mail. I would be happy to address your questions. Regarding further research - it is always possible, in the face of negative results, to call for still more research. And it is easy to make this seem like the default scientific position. ESP proponents, after a century of failed research, call for still more research, and accuses anyone who says further research is not worthwhile of being unscientific. My position is that ideological groups should not be dictating how scarce research funds are allocated. When we put money, people, and resources into chasing down an unlikely hypothesis those resources are not available for what might be more promising research. My position is that objective scientists, justifying their position with a careful analysis of the research, should decide how best to allocate scarce research funds. The anti-vax movement, however, is trying desperately to put their thumb on the scale - and that is what I oppose. They are trying to subvert autism activism to serve an anti-vaccine agenda - and they are hurting the autism community as a result, in my opinion. I respect Healy and Gerberding, but I disagree with their approach in that they think more research will satisfy vaccine critics, but this is a naive position. The anti-vaccine movement has already demonstrated that they are impervious to facts and evidence, and spending time and money trying to placate them is a fool's errand. The CDC even went as far as to include them in designing a trial looking at vaccines and neurological disorders, and then only after the results came back negative, did they criticize the study. The increase in autism diagnoses has been studied from multiple angles - not just the expansion of the diagnosis. So far, every way it has been looked at the hypothesis that the increase in diagnosis of ASD is due to increased surveillance and expanded diagnosis has been confirmed. There is evidence of diagnostic substitution (as ASD numbers increase, the numbers of other similar diagnoses decrease). There is evidence that different age groups have the same prevalence of ASD (rather than increasing with younger age, as would result from a true increase in ASD). And if you apply the same diagnostic and surveillance methods to a cohort over time, you get the same ASD prevalence. The data is actually quite convincing that true autism rates are not significantly increasing (you cannot rule out a small real increase, or decrease for that matter, that the data is not powerful enough to detect) but that there has been expanded diagnosis with diagnostic substitution and increased surveillance. The implications of this position to the alleged thimerosal link is complex, but supports a lack of correlation. What the data shows is that in various countries ASD diagnoses began to rise around the same time (as diagnostic patterns changed), in the early 1990s, and have continued to rise through today. Meanwhile, vaccine policies have varied considerably with regard to total thimerosal dose, with several countries, at different times, removing most thimerosal from vaccines. Every study looking at the data shows no correlation between the steadily increasing ASD diagnostic rates with the rising and falling thimerosal doses at different times in different countries. This is powerful evidence for a lack of correlation. As you likely know, toxicity is always about dose, and seeing a proper dose-response is essential to proving toxicity causation. What we have with thimerosal is an absolute lack of any dose-response, in many studies and sets of data. Also, please keep in mind that the anti-vaccine movement used the increase in ASD in the 1990s as their original justification for the claim that thimerosal causes autism. They predicted that autism rates would decline after thimerosal was removed from the childhood vaccine schedule, and we agreed that if that happened we would need to rethink the possibility of a connection. Well, rates continued to rise without a blip, effectively putting the final nail in the coffin of the thimerosal hypothesis. Regarding thimerosal and pregnancy, to the extent that this has already been studied (again, you can find references in the vaccine-and-autism link above) there has been no correlation. I do not oppose further research, however, if the CDC or others think it is warranted and feasible. Thanks again for the interesting questions, and I hope this adequately clarifies my position. PS - You can publish my response on your blog, and I will do likewise. Autism Rising or Not? Mercury Disproved as Autism Cause or Not? Harold knows that there is a difference between an increase in “autism”, and an increase in “autism diagnoses”. There are no data to show one way or another that autism prevalence has increased much over the last two decades. But it is indisputable that autism diagnoses have grown considerably. ANB simply fails to grasp, or more likely acknowledge , that by claiming there is no real increase in autism diagnoses he is trashing the claim that autism continued to increase after removal of thimerosal from vaccines. By doing so he is arguing against the claim that any thimerosal (mercury in vaccines) autism connection has been disproved. (Except for flu vaccines but no one gets flu vaccines right?). Perhaps AutismNewsBeat should tell Dr. Paul Offit to change the title to Chapter 6 of his novel "Autism's False Prophets" from "Mercury Falling" to "Mercury Falling, Autism Who Knows". One point on which everyone, except perhaps AutismNewsBeat, should be able to agree is that if autism was rising after the removal of thimerosal there is no reason to assume that autism is not rising today. Conversely, if autism is not rising to day there is no reason to conclude that a causal connection between thimerosal and autism has been disproved. Which is it folks? Autism Rising or Not?. 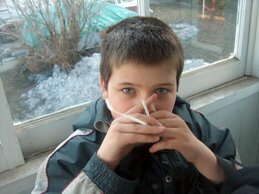 Thimerosal (Mercury) as Autism Cause Disproved or Not? 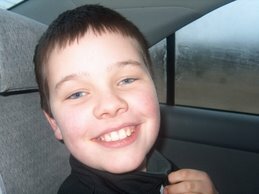 My son Conor is 13 and has a diagnosis of Autistic Disorder. He is assessed with profound developmental delays. 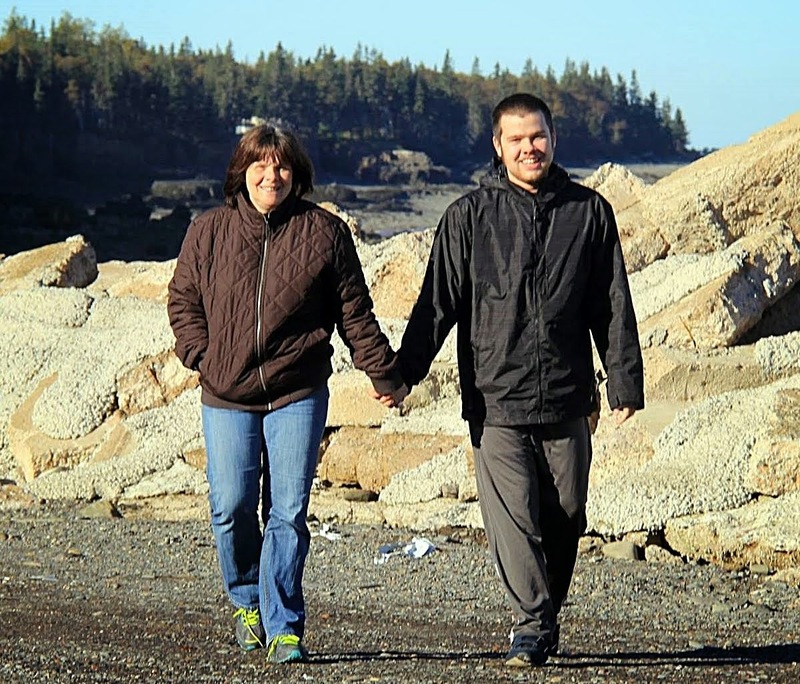 His initial diagnosis of PDD-NOS at age 2 was changed to Autistic Disorder a short time later. 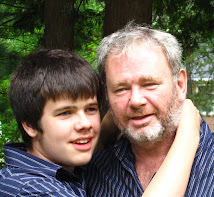 In the 11 years since his diagnosis there have been significant changes in autism service delivery for children here in New Brunswick and elsewhere in Canada and the United States. But there has been almost no effort made at all to find new treatments or cures for autism disorders. The latest mainstream media discourse on autism treatment and cure arrives courtesy of the Chicago Tribune which has published a series of articles beginning with criticism of the Autism One conference and continuing this past week with a generalized attack on alternative treatments, particularly those advanced by DAN practitioners. While the Tribune has spilled much ink attacking what it calls alternative autism treatments, and DAN practitioners, it has not printed a single period, comma or question mark asking why there has been no serious research seeking autism treatments or cures by establishment medical authorities. 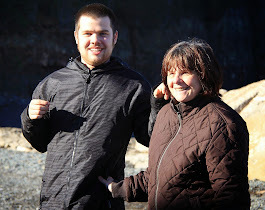 In the eleven years since my son's autism diagnosis autism researchers have continued their obsession with genetic autism research. While there had been some hints of a new Autism Research Paradigm Shift that would explore the interaction of genetic and environmental research it has not matured into a prevailing mindset. Genetic research is still out funded by as much as 20 to 1 over environmental research. 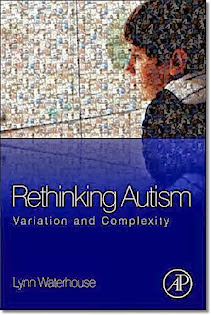 There is not so much as a hint of a possible new, evidence based, treatment or cure for autism on the research horizon. And there are few signs of research aimed at providing treatment or cure. The Chicago Tribune is outraged at parents and professionals seeking and providing alternative treatments for autism. Yet it does not even dawn on the Tribune journalists to ask why this situation exists. The answer is simple. For decades health authorities and researchers have abandoned parents to their own devices to find help for their autistic children. They have failed to spend significant resources searching for possible causes, treatments or cures for autism and now parents who don't have the luxury of ignoring the realities of their child's autism disorders, who don't want to abandon the field are under attack. The journalists who chronicle current events fail to ask why treatments are not available and they will not ask why. Environmental research whether it arises from vaccines, power plants, plastics, children's toys or pesticides could have a negative impact on economic interests. The health interests of children particularly if they are not properly explored and proven will always be trumped by major financial interests. Whether the Chicago Tribune likes it or not though parents will not quit on their children. While the health establishment and researchers dawdle in genetic past times parents of children with autism disorders will continue to try and help their children with the resources available whether the Tribune and health establishment like those resources or not. Yup Kevin Leitch opposes the interests and well being of autistic children. That is the logical conclusion of the false dichotomy Kevin Leitch creates when he accuses Bob Wright of opposing the interests ofautistic adults. Mr. Leitch has his knickers in a knot because Mr. Wright commented on the activities of a few autistic adults in disrupting a benefit and therefore in Kevin's mind he is opposed to the interests of all autistic adults. Using Kevin Logic, in attacking Bob Wright for defending a benefit for autistic children, Kevin Leitch opposes the interests and well being of autistic children. Autism is a spectrum and some like the ASAN supporters who stepped away from their keyboards to try and disrupt a benefit to help autistic children, have abilities lacking in many severely autistic children and adults. Bob Wright said, much more politely than I would have done, that he wished his more severely impaired grandson had their abilities. That is all he said. The protesters subscribe to an ideology promoted by a few high functioning adults with autism and Aspergers who oppose the idea of curing autism. They are not content to oppose cures for themselves. They oppose cures for other people's children and for other adults more severely impaired then them. Mr. Leitch also subscribes to this ideology and is opposed to Autism Speaks and Bob Wright. Kevin Leitch is so tied to this anti-cure ideology that he is willing to shred whatever remains of his credibility and accuse Bob Wright of being opposed to autistic adults. Kevin Leitch's comments about Bob Wright are nonsense, pure and utter nonsense, and should not be taken seriously. Give your head a shake Kev. You are losing it. Conor returned to the Circle Place, the Nashwaaksis Commons, today for the first time in almost two years. He used to love going to the Circle Place and then he just stopped and refused to go back. Today though we were in the area anyway and with some gentle urging from Dad Conor revisited his old haunt and had a blast. He has grown at least half a foot since his last visit and his footing was a little wobbly to start but he got it back quickly and had lots of fun. "The protesters are lucky. They're well off enough, healthy enough, to do it. I wish my grandson were able to join them." Bob Wright of Autism Speaks has called out the handful of protesters, barely autistic members or followers of the Autism Spectrum Self Advocacy Network, who made yet another attention grab by protesting a celebrity benefit held to raise funds and awareness for autism disorders. Autism Speaks has critics from various points in the world of autism but its events are attended by thousands of participants while ASAN is lucky to haul an even dozen away from the comfort of their keyboards. 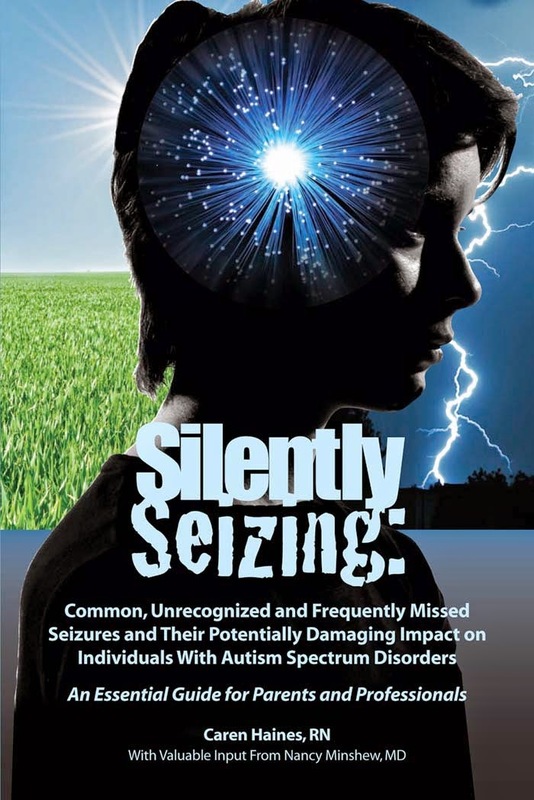 These very high functioning, self identified, autism "spectrum" dwellers don't appreciate how lucky they are and go all out to disrupt efforts to help all persons on the autism spectrum including the low functioning, severely autistic children and adults who actually need the help. Self advocacy? Far from it. ASAN is an oppressive group. Its barely autistic leaders identify with the "autism spectrum" concept and want to promote a view of autism which supports their own self image. To that end they suppress any portrayal of the negative realities that afflict those with severe, low functioning autism disorders. ASAN protesters advocate against the rights and interests of the severely autistic, those who would have been diagnosed as autistic BEFORE the expansion of the diagnostic definitions of autism disorders in 1993-4. They seek to prevent research that could lead to treatment or cure of autism disorders. They, the very high functioning barely autistic, do not need treatment to attend university, establish corporate organizations, meet with high level politicians, write lengthy essays and of course, pose for photo ops and interviews with high profile, but autism ignorant, mainstream media publications like the New Yorker, the NY Times, Newsweek and the CBC. 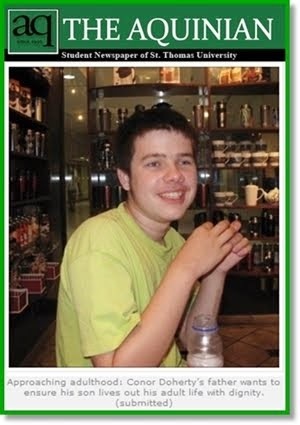 ASAN does not want research to be conducted that could help cure those autistic persons, including children, who suffer from severe self injury, lack understanding of language, wander off into dangerous traffic, drown in neighborhood pools or live their lives in institutional care after their parents can no longer care for them. Like Bob Wright I wish my son was able to join them in their protests. I wish my son was able to understand why they feel that their self identification with the word "autism" is so important that they are entitled, under the pretense of "autism spectrum" self advocacy, to suppress his rights and interests. Apparently the Chicago Tribune is of the view that the only real concern facing autistic children and their families is the risks faced by treatments, and DAN doctors in particular. In two very superficial articles, yesterday's Autism treatments: Risky alternative therapies have little basis in science and an article today titled Autism treatment: Success stories more persuasive to some than hard data the Tribune continues its war against Defeat Autism Now and DAN doctors by ridiculing anecdotal evidence of successful autism treatment. Although the Tribune has now published articles on two consecutive days on the subject of autism treatments it makes no mention of the most evidence based autism intervention ... ABA. While the Tribune is concerned about telling parents of autistic children what it feels is wrong in the world of autism treatments it doesn't consider it important enough to mention the widespread public health support for the evidence based effectiveness of ABA as an autism intervention. "But in evaluating a therapy, the challenge is determining how much, if any, of the progress can be credited to the treatment. That is because, over time, children with autism do develop, said Dr. Max Wiznitzer, a pediatric neurologist and an autism expert at Rainbow Babies and Children's Hospital in Cleveland. They make leaps; some may plateau or regress, but they show improvement. "Kids are at their worst in the second and third year of life," Wiznitzer said. "That is when they are not talking. That is when they are most into themselves." But around age 3 the children often begin to talk, he said. "Over 3 to 5 years, you see an improvement in communication skills. ... By school age, they have language to get needs and requests met," Wiznitzer said. Between 10 percent and 20 percent of children with autism who were diagnosed early may make so much progress that they are indistinguishable from their peers and may "lose" the diagnosis. This happens regardless of whether the child is undergoing alternative therapies, said Dr. Susan Levy, director of the Regional Autism Center at the Children's Hospital of Philadelphia. But parents may credit treatments for the gains." No autism treatment, no ABA, no "alternative" treatment, no autism research into environmental causes or possible cures. the Chicago Tribune has "an answer" for parents concerned about their autistic children .... let it be. For the most part the article Autism treatments: Risky alternative therapies have little basis in science goes over old ground in attacking alternative autism therapies. At times it appears that the article is actually going to send current autism knowledge back to 1999 when Teresa Binstock outed the medical establishment for insisting that only genetic based autism research receive scarce funding dollars and that , by implication, environmental factors played no role in causing autism. Chelation's popularity as a treatment for autism is driven by the unproven idea that the disorder is tied to accumulation of heavy metals in the body. Mercury, once common in vaccines as part of a preservative called thimerosal, is often pegged as the culprit. Yet the federal Institute of Medicine reported in 2004 that a review of dozens of studies had failed to show a link between vaccines, thimerosal and autism. Subsequent studies also found no connection. After thimerosal was removed from childhood vaccines except for some flu shots, autism diagnoses continued to rise. Congratulations to the Chicago Tribune for its investigation confirming that autism is indeed rising; that the increases in autism are indeed real. Since genetics can not explain these startling increases it should be clear, based on the Chicago Tribune's conclusion, that the autism increase is real, that environmental factors have to be involved in causing autism disorders. Maybe the Tribune can now do an investigative piece explaining why health authorities have discouraged environmentally based autism research over the past decade and more. Maybe if health authorities pushed research of some of those potential environmental causes or triggers they could find cures and parents would not be left on their own trying to help their autistic children without the benefit of help from, and usually under attack by, scientific and health authorities. Homeostasis Model of Autism Causation - Is Autism Triggered By Glutamite and Glycine Imbalance? In a press release from PR Newswire, a New Jersey based business oriented think tank, The Center for Modeling Optimal Outcomes® LLC, outlines what it believes is a model of autism causation discovered while researching neuroscientific principles in business. The think tank members themselves are not scientists but had the assistance of various scientists at different stages of developing their model which they believe has widespread applicability to other disorders and to other areas of science. "The Center's Life Sciences group was able to formulate a scientifically verifiable model for the highly probable causal path of autism. Through the application of their model, it became apparent that autism is an outcome of several variables that, when the homeostatic relationship of each one is disrupted, a "perfect storm" scenario results in autism. The application of the model identified several of the variables that account for why boys have a 4 to 1 ratio of instances over girls as well as why not every boy is affected. The Center, perhaps naively, offers its homeostasis model of autism causation to the scientific community. Two problems emerge immediately that will cause problems for this model in being taken seriously by the "scientific community". One problem for the homeostasis model is the focus on glycine which brings the model into potential breach of the 1st commandment of modern public health authorities - thou shalt not speak evil of vaccines, vaccine ingredients or vaccine injection schedules. "According to The Center's founder, William McFaul, a retired business person and not a member of the scientific community, "Because of its universal applicability, our Life Sciences group has already used the model as a tool to identify highly probable causal paths for several illnesses and disease entities. Autism was one of most difficult illnesses The Center had attempted to analyze. If it hadn't been for so many parents insisting that vaccines were responsible for the condition, we might never have found the fact that the stabilizer in MMR and a few other vaccines is hydrolyzed gelatin; a substance that is approximately 21% glycine. It appears that, based on readily verifiable science, the use of that form of glycine triggers an imbalance between the amino acid neurotransmitters responsible for the absorption rate of certain classes of cells throughout the body. It is that wide-spread disruption that apparently results in the systemic problems that encompass the mind and the body characterized in today's 'classic' autism." 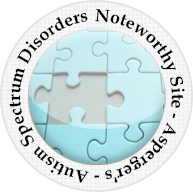 He also added, "The use of our model indicates each of the disorders within Autism Spectrum Disorder (ASD) is attributable to different disruptions in homeostasis. We look forward to sharing our findings relative to each disorder with the scientific community." The homeostasis model looks interesting. Hopefully it will be considered seriously by researchers actually trying to discover causes of, and cures for, autism disorders before it gets trashed by the Vaccine Cult defenders who have declared vaccines off limits for scientific inquiry as possible causes of autism disorders. The Daily Gleaner makes brief mention of the Oscars for Autism event held Saturday Night at the Delta Fredericton. Neil Lacroix and Kim Gahan of Autism Connections Fredericton, and Brian Jones of TD Waterhouse, deserve applause for their hard work in making the Oscars for Autism event a huge success. Stan Cassidy Centre developmental pediatrician, Dr. Tara Kennedy, a great asset for New Brunswick's autistic children, gave an excellent overview of autism disorders. Psychologist Paul McDonnell was recognized for his outstanding contributions to autistic children in NB. Parents of autistic children who fought for autism services, the many civil servants and front line workers who provide them, and the leaders who responded, former Premier Lord and Premier Graham, were all saluted. NB is literally a world leader in providing evidence based services to autistic children and the people of NB as a whole deserve credit. We must focus now on those autistic youths and adults who require what is currently lacking - a decent residential care system to provide for them when families no longer can. More than two years since I described Saskatchewan as Canada's Autism Wasteland the government of Saskatchewan is still dithering, and delaying instead of putting a quality system of autism services in place to help that province's autistic children. In all fairness to Saskatchewan's political and public service elite they may not know much about autism disorders, or the importance of timely early intervention in helping autistic children live fuller, richer lives. Their failure to provide an autism intervention system with quality and integrity for autistic children across Saskatchwan appears to indicate a lack of any real understanding about autism disorders or the importance of early intervention in helping autistic children make real gains that will help them live fuller lives. "NDP health critic Judy Junor said parents aren’t getting access to adequate treatment. “It’s very time sensitive. These children can really progress so quickly with intensive therapy that meets their particular needs,” Junor said outside the assembly. Parent Arden Fiala, whose daughter has Asperger syndrome, said she wants government to know there’s an urgency to the call for a strategy and for “individualized” funding in the interim that is not income-tested. “The start of the action plan of the (Premier Brad) Wall government is just that — a start. It is not addressing the immediate and critical needs on the front lines and we’ve yet to see the benefits,” Fiala said." 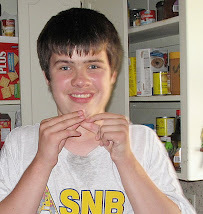 Timid, incremental, baby steps will preclude many autistic children in Saskatchewan from obtaining the help they need. Last night I was honored with an award, for autism parent advocacy, as part of the Autism Connections Fredericton fundraiser and autism awareness event Oscars for Autism. 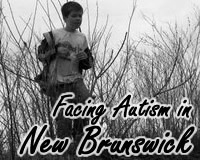 I have in the past expressly avoided such recognition for fear it would be a distraction that would prevent me from doing what had to be done in advocating for autism services in New Brunswick. Last night's award though originated with people whom I have stood beside for many years in fighting for better lives for New Brunswick's autistic children and adults; people for whom I hold the highest regard and respect.... and it gave me a chance to take the stage and reinforce the reality that right now our priority should be in improving New Brunswick's youth and adult residential care system. I enjoyed the opportunity to publicly thank Premier Shawn Graham for all that he has done for autistic children and students in New Brunswick. I was particularly pleased to thank former Premier Bernard Lord for everything his government did in laying the foundation for the progress that has been made in provision of autism services for New Brunswick children. In those first years when little in the way of services were available, and knowing the importance of time in obtaining intervention for autistic children as early as possible, things were at times a bit ... intense. Premier Lord left NB politics before being properly thanked for listening and responding in a considered, informed fashion ... despite the intensity. It was, and is, my pleasure to thank both of these leaders and the people in cabinet and the civil service who have made it happen. "Oscars" were given out to persons with New Brunswick roots who have made outstanding community contributions including NB Premier Shawn Graham, former NB Premier Bernard Lord, Steve Murphy of CTV News, Bernard Richard, NB Child Advocate and Ombudsman, Reid Manorebusinessman (Tim Horton's), Fredericton Mayor Brad Woodside, Dr Eddy Campbell (President UNB) Cathy Hutch, musician and mother of a young autistic woman, the Lapointes (music group), Marc Roberts ( East Coast Music Show) and Sheree Fitch (Author). Dr. Tara Kennedy was the keynote speaker and gave an excellent presentation providing a basic overview of autism disorders and interventions and commenting on New Brunswick's leadership role as a small province which has done very well in providing early intervention services for autistic children and autism trained teacher assistants for New Brunswick's autistic students. 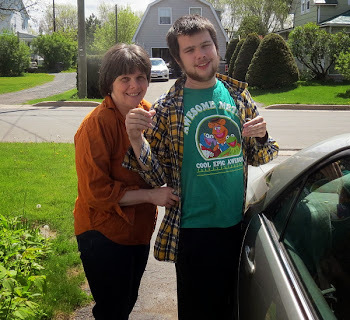 Photo 1 - My buddy Conor, holding my award today, the reason I have been actively involved with autism advocacy in New Brunswick during the past decade. 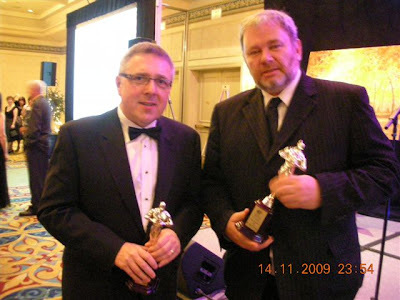 Photo 2 - Me, posing with award recipient, and Atlantic Canada's prominent news anchor Steve Murphy of CTV/ATV news. It was a pleasure having the opportunity to meet and talk with Steve. 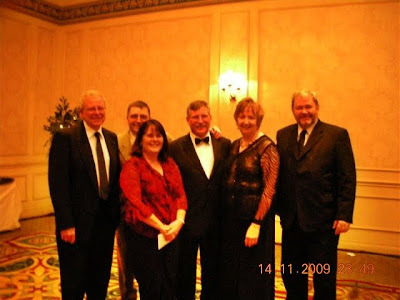 Photo 3 - I had the privilege of standing with some of the people who have contributed much in autism advocacy in New Brunswick: L to R - Paul McDonnell, Gil Blanchette, Nancy Blanchette, Albert Bowie, Dawn Bowie and me. Photo 4 - Neil Lacroix of autism connections fredericton, Kim McKeigan Speech Language Pathologist, Stan Cassidy Centre, Dr. Tara Kennedy, developmental pediatrician, Stan Cassidy Centre, Kim Gahan, autism connections fredericton,Elizabeth McDonnell, B.Sc.,OT (C), Occupational Therapist and Paul McDonnell Ph. 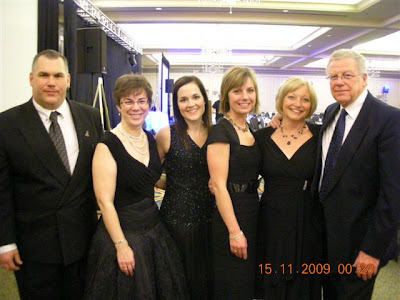 D. clinical psychologist, professor emeritus (psychology) and the "Godfather" of New Brunswick's autism advocacy movement. Respectful Insolence Is A "Science" Blog?